Kennedy's liberalism was experimental, not rigid. 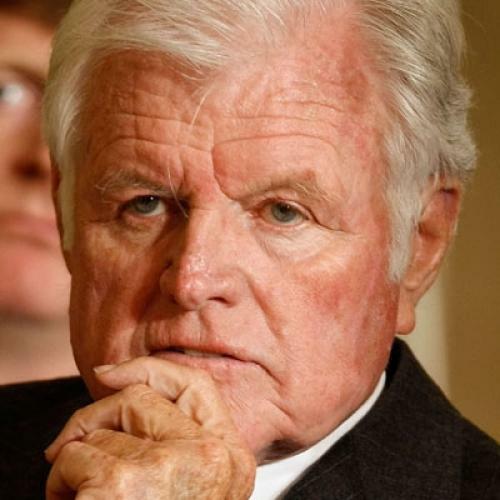 WASHINGTON--Ted Kennedy was treasured by liberals, loved by many of his conservative colleagues, revered by African-Americans and Latinos, respected by hard-bitten political bosses, admired by students of the legislative process, and cherished by those who constituted the finest cadre of staff members ever assembled on Capitol Hill. The Kennedy paradox is that he managed to be esteemed by almost everyone without ever becoming all things to all people. He stood for large purposes, unequivocally and unapologetically, and never ducked tough choices. Yet he made it his business to get work done with anyone who would toil along with him. He was a friend, colleague and human being before he was an ideologue or partisan, even though he was a joyful liberal and an implacable Democrat. He suffered profoundly, made large mistakes and was, to say the least, imperfect. But the suffering and the failures fed a humane humility that led him to reach out to others who fell, to empathize with those burdened by pain, to understand human folly, and to appreciate the quest for redemption. That made him a rarity in politics. Never pretending that he knew everything, he had a magnetic draw for talented people who stayed with him for years. He trusted them and gave them room to shine. Their guidance and his own intelligence and feverish work made him one of the greatest senators in history. There was another Kennedy paradox: Precisely because he knew so clearly what he wanted and where he wished the country to move, he could strike deals with Republicans far outside his philosophical comfort zone. He worked with Orrin Hatch, one of his dearest friends, to bring health coverage to millions of children, with George W. Bush on education reform, with Lamar Alexander and Mike Enzi to improve child care, with John McCain on immigration reform. It was hard to find a Republican senator Kennedy had not worked with at some point during his 47 years in Washington. Kennedy's willingness to cross party lines only enhanced his credibility when he needed to stand alone as a progressive prophet. In early 2003, while so many in his party cowered in fear, Kennedy stood against the impending invasion of Iraq, warning that it would "undermine" the war against terrorism and "feed a rising tide of anti-Americanism overseas." And for his entire career, in season and out, Kennedy had a righteous obsession with the profound injustices and shameful inefficiencies of an American health care system that bankrupts the sick and inflicts needless agony on those who cannot cross a doctor's threshold. It would be an unforgivable tragedy if Kennedy's death were to weaken rather than strengthen the forces battling for health care reform, which Kennedy called "the cause of my life." Yet Kennedy's liberalism was experimental, not rigid. Principles didn't change, but tactics and formulations were always subject to review. He gave annual speeches that amounted to a report on the state of American liberalism. He always sought to give heart to its partisans in dark times--"Let's be who we are and not pretend to be something else," Kennedy said in early 1995, shortly after his party's devastating midterm defeat--but he did not shrink from pointing to liberal shortcomings. In that 1995 speech, he insisted that "outcomes," not intentions, should determine whether government programs live or die. In 2005, he criticized liberals for failing to harness their creed to the country's core values. Many who didn't know Kennedy will wonder about the sources of the cross-partisan affection that will flow liberally in the coming days. It goes back to his humane identification with those in pain. Literally thousands of people have stories, and I offer my own. In 1995, Kennedy was at our church on a Sunday when a call for prayers came forth for a hospitalized member of our family. Kennedy eventually learned that it was my 3-year-old son James who was stricken with a rare condition. I returned home late that night after spending the day at the hospital. Waiting for me was a message from Ted Kennedy. A quiet voice described his own son's youthful illness and expressed a total understanding of the fear and pain I was experiencing. My son recovered, thank God, and I will never forget what Kennedy did. His compassion was real, not contrived, and it extended to individual human beings and not just to the masses in the crowds who cheered him, and will keep cheering for a long time.